This is the summary of consumer reviews for AT&T EL52300 DECT 6.0 Cordless Phone. The BoolPool rating for this product is Good, with 3.80 stars, and the price range is $53.12-$79.95. 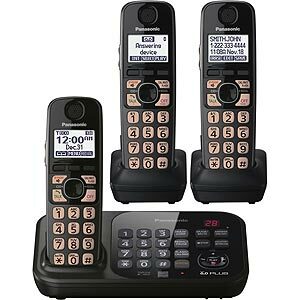 The AT&T EL52300 DECT 6.0 Cordless Phone is modern and fully featured. This phone comes with 3 handsets. Lightweight and sleek design make it easier to mount it on table or wall to save space. The AT&T EL52300 DECT 6.0 ensures enhanced sound quality and reception. It ranges up to 100-feet and ensures the wireless networks and other electronic devices do not interfere with the conversation. 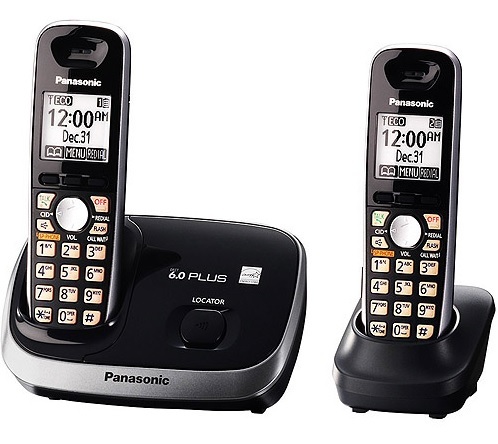 The handsets have easy to read LCD screen and lighted keypad for effortless dialing in low light conditions. In addition, when changes are made in one handset, the phone automatically updates these changes on other handsets (e.g. time, date, number etc. ), thus eliminating the time consuming process of entering the details for setup and/or phonebook repeatedly. The phone includes features like - caller ID, call waiting, digital answering system, ECO friendly phone for long battery life, speaker phone, intercom between handsets, phonebook and up to 20 redial locations, mute feature, remote message retrieval, time stamp, conference facility, easy to understand English/Spanish/French set up instructions menu. However, this model is not expandable. Some handsets stopped working and/or charging after few months of usage. 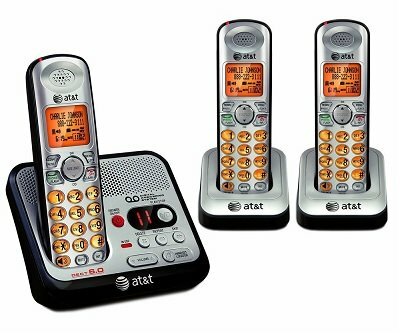 Overall, the AT&T EL52300 DECT 6.0 Cordless Phone with 3 handsets is a decent, easy to use and understand, well made, good-looking, lightweight phone set with good quality features. This is recommended by users as basic handset within reasonable price range. I bought this to replace a two handset model from same series which had a handset fail just after warranty ran out. Whenever an update is made on one handset (time, date, number, etc.) the other handsets automatically receive the update--major cool feature!. Unfortunately, they couldn't send a replacement for the single handset, since this model isn't expandable. What more could you ask for--there's a handset for three different rooms and an answering machine. Only one very minor quibble: when playing answering machine messages back through the handset speakers, the audio tends to be a bit clipped and can be hard to understand at times, but the speaker in the base unit is good, so play messages back that way and you'll have no problem hearing what was recorded. This's a great basic handset. 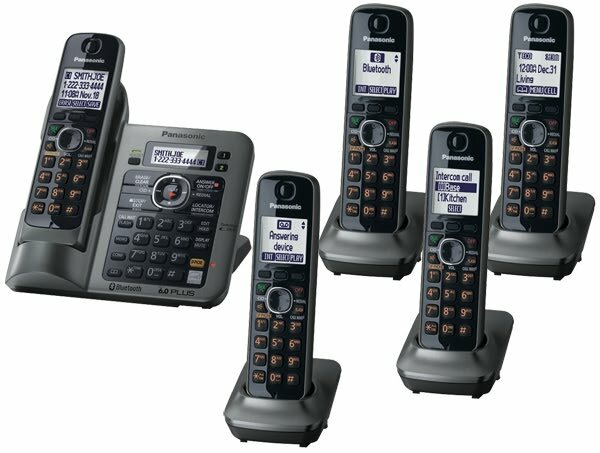 Each handset has a built-in speakerphone, and the best feature, not available on many newer cordless phones, is that in addition to a phonebook, it's 10 speed dial locations from the handset, a feature I really liked from my old Uniden and now unavailable from them. The answering machine design is simple and uncluttered with most of the functions operable by using the handset. It doesn't have any other features besides caller ID and speaker phone. Love the fact that all the handsets display the directory, which required me to input only one handset. Problem with charging them for some reason they dont charge well. Stays charged for a very long time. These phones don't hold a battery charge for very long. These seem to stay charged up for quite a long time. Within 60 days the phone won't charge. It doesn't hold a charge at all. Phones Die quickly charge them a whole day and within half hour dead. Two hours isn't impressive for a "fully charged" phone battery. there are 3 cordless phones, phone number 1 doesn't recharge no matter how long you leave on the charger and now lately after 4 month now phone number 3 doesn't want to charge. Must leave on for days to get a charged phone. 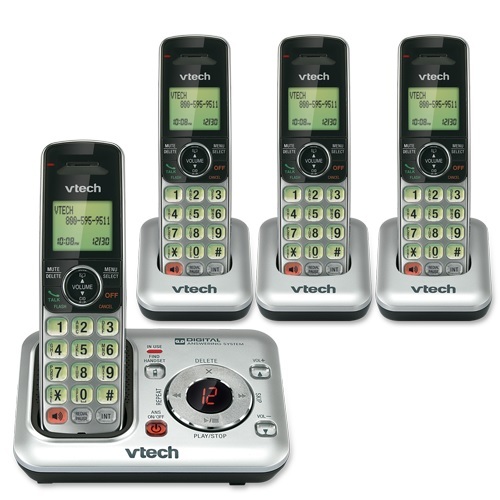 Easy to install and nice voice and answering machine features. Great phone system ring tone is excellent and the numbers are easy to see. Easy to set up and works perfectly. Initial setup is easy, too. Very easy to use They've a very clear sound. This phone was easy to program and has good sound quality. Easy to set up and to understand. They're very easy to set up. Big Buttons light up for easy dialing in the dark. No problems what so ever..every phone worked fine..nice clarity.phone lights up well in the dark,holds a long charge..plus the price was right for me. Works great all over the house and outside. Our cheaper version AT&T phones worked even outside-more than 100 feet from the base. The caller ID works good, the voice quality is good. I hope that one works because setting up phone systems is tedious and time consuming. Easily set up and works like a charm. We use these handsets in a working ambulance station. It does work fine, does what it says. I now have the EL52300 DECT 6.0 and it works great. I LIKE THE PHONES AND THE PRICE WAS VERY GOOD TOO.HAVE ONE IN MY OUTSIDE SHOP 100 FEET AWAY FROM BASE AND IT WORKS GOOD. Phones and answering machine are working. The answering machine is very clear. Sounds very clear, no echoing as in other brands. These phones are well made, the sound quality is good, and many nice features. when there's a message on the answering machine. Easy to use, reasonably priced and light as a feather. Both quit working less than 3 months after the purchase. The range is good and the sound quality is perfect.